Life with Saab - Essential Saab news: Merry Christmas! It's been ages since my last post. The spirit I felt for the future for Saab disappeared when Saab became an electric car venture. I feel happy for the people who got new jobs at the new Saab and I hope many of the old Saab workers will be back at Saab some day in the near future. And I still hope that someday someone will build the Pheonix based Saab 9-3 that I was dreaming of driving this winter. A car with electric four wheel drive, gasoline turbo engine, excellent driving characteristcs for both summer and winter and state of the art safety. But I will not follow every step of everything connected to NEVS and Saab cars. I do not have the time, the energy or the enthusiasm to do so. This does however not mean that I do not care for Saab cars anymore. I still got my Saab 9-5 and I love it just as much as before. It is still the best winter car I have ever owned or driven. For use on sunny summer days I will keep my Saab Sonett V4. It is a fantastic car. A car built by the true Saab spirit. 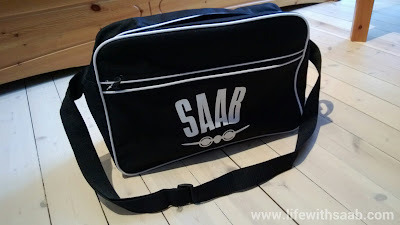 For Christmas this year I got a great Saab present. 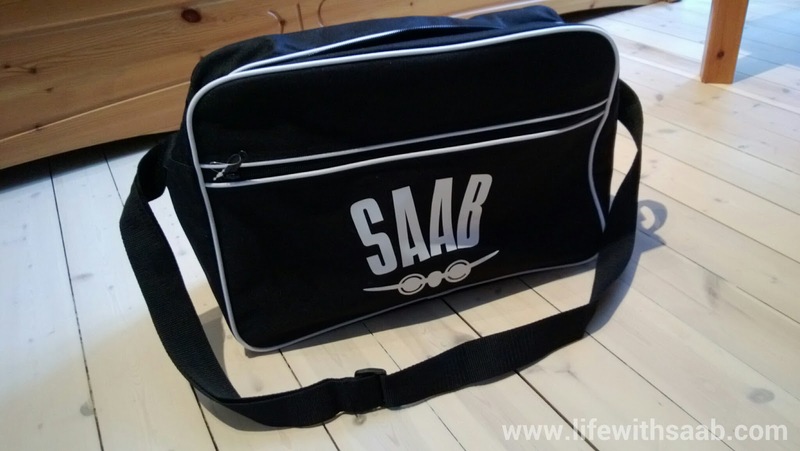 A small bag with the great Saab aeroplane emblem! I will proudly use this bag knowing that the emblem is the symbol of great car history. Finally I want to apologize to those who have written to me the past months. I am sorry that I have not responded. I have no excuse.